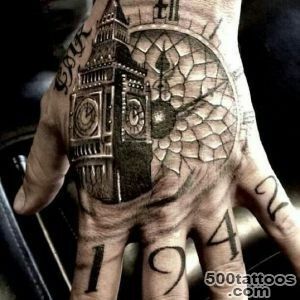 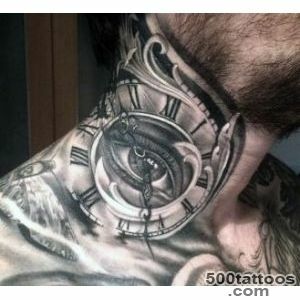 Watch Tattoo worn by both men and women. 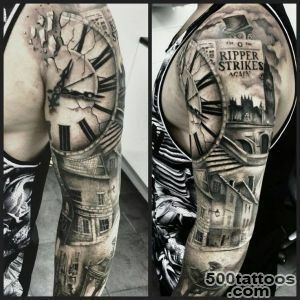 The way a depiction hours : according to a certain style or as an extremely realistic picture, the deeper meaning of the tattoo remains the same. 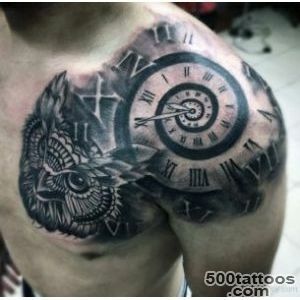 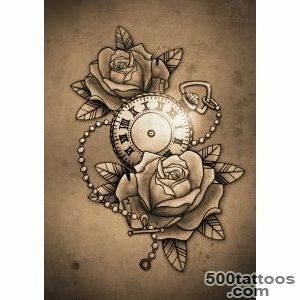 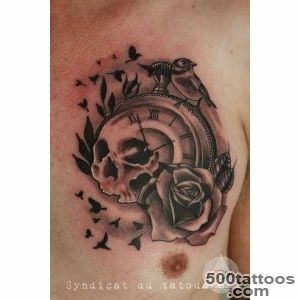 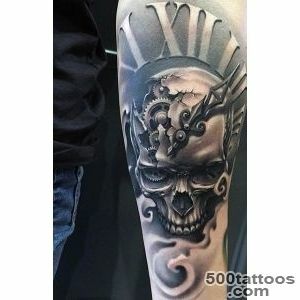 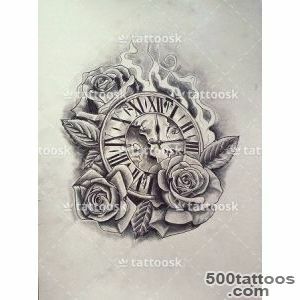 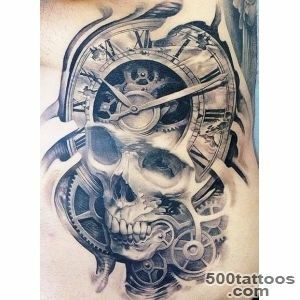 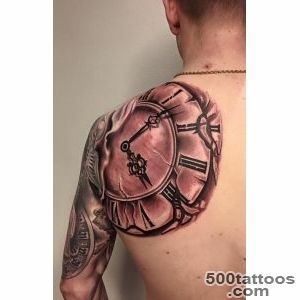 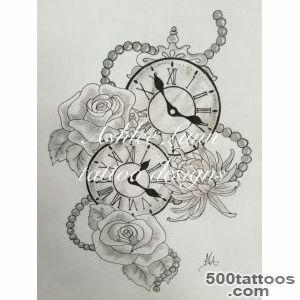 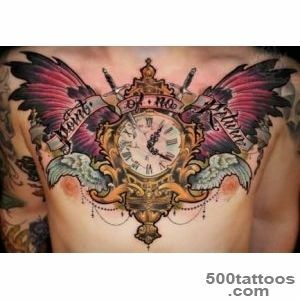 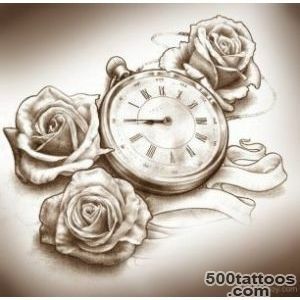 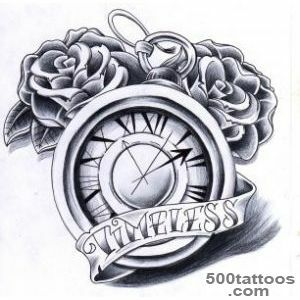 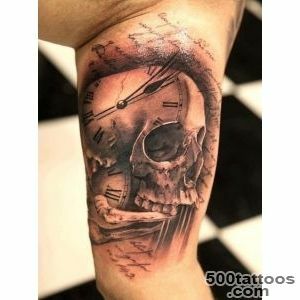 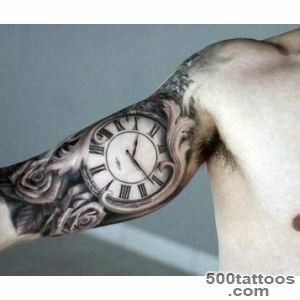 Images of hours are put in different styles, places of their application are most often the shoulders, arms, back or chest.Watch Tattoo contains a dual meaning. 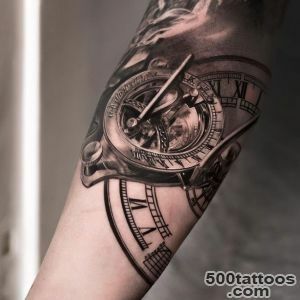 On the one hand, the watch is a symbol of the transience of life indicate that human life is unpredictable, and can stop at any moment, and that people do not know their future. 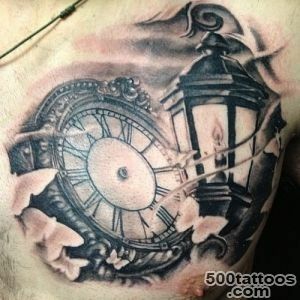 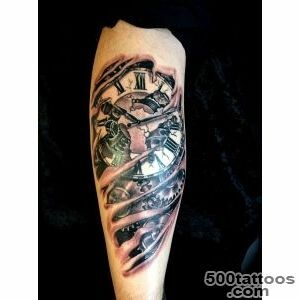 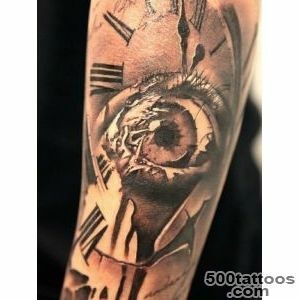 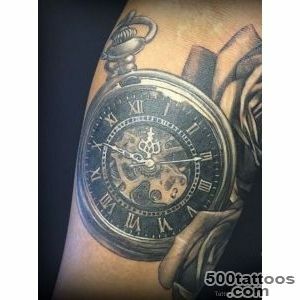 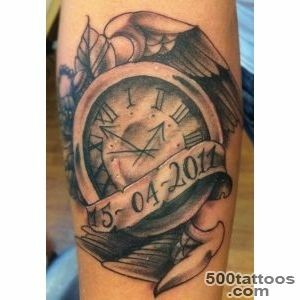 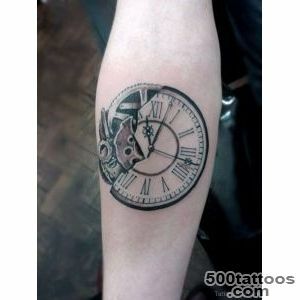 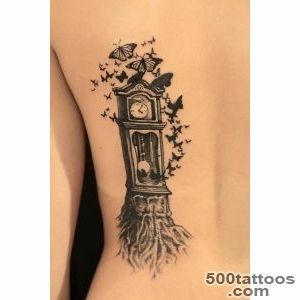 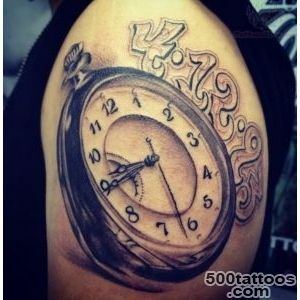 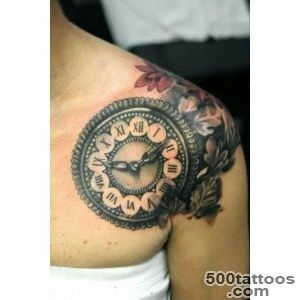 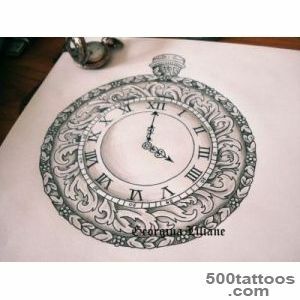 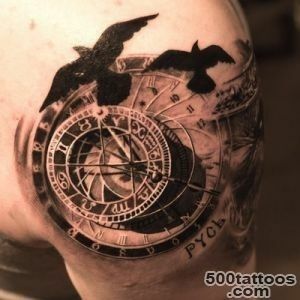 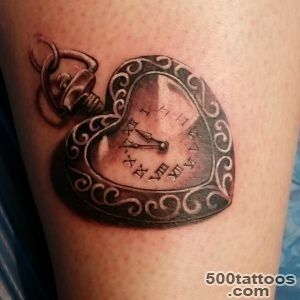 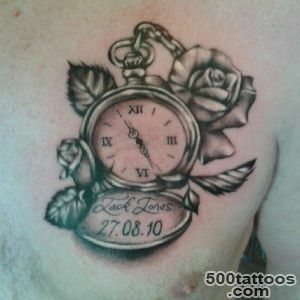 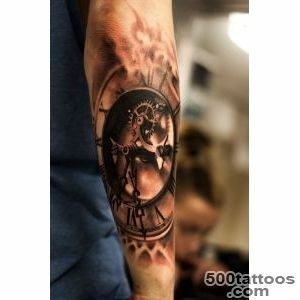 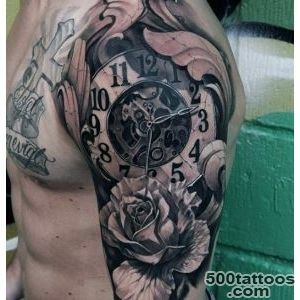 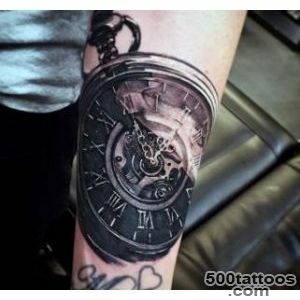 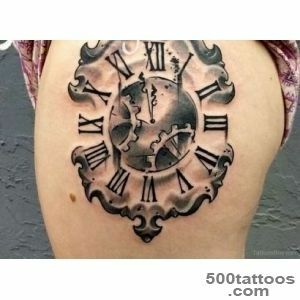 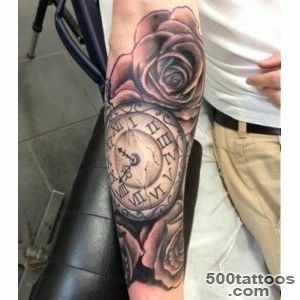 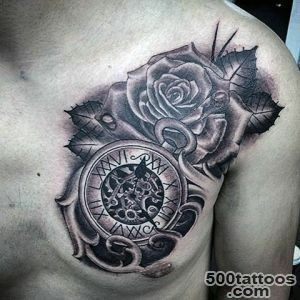 On the other hand, a tattoo with the image clock serves as a reminder for her support of a certain importance,almost fateful events in his life, which divided the human being into "before" and "after" ; clock image for such a person is a sign that the countdown has gone and the owner of the tattoo wishes to a certain point to watch is a kind of reminder of this. 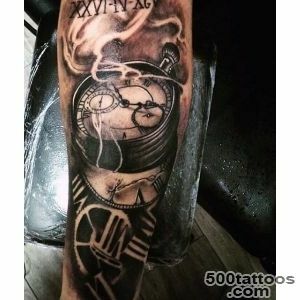 The figures shown in tattoos hours,means any significant period of human life (date, hour, minute) at which marked the beginning of the "other" life. 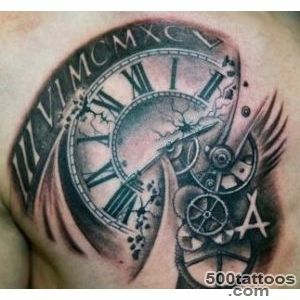 The symbol of life, passing without meaning, without any significant, important events, is a tattoo clock without hands or numbers. 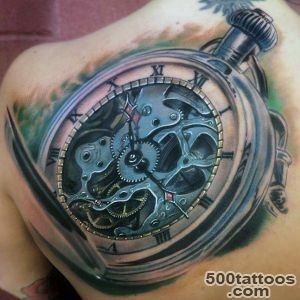 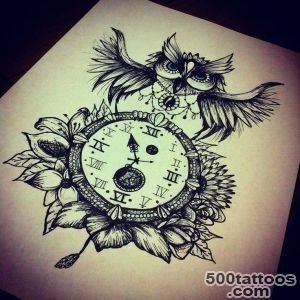 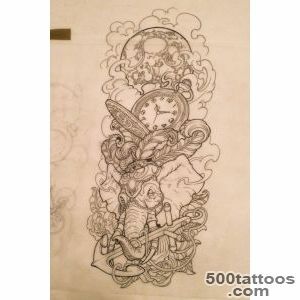 These sketches are quite common among the pictures already inflicted tattoos.Tattoo hourglass has a special meaning, which is that humanity transcends time, it disappears permanently and hopelessly as the sand in the hourglass. 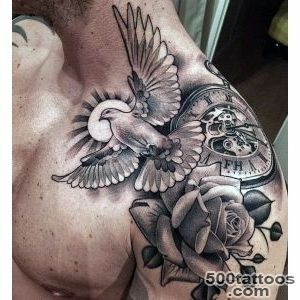 If the sketch tattoo hours depicted gems, this is a sign that the owner of the tattoo the main task for yourself puts search for the meaning of life. 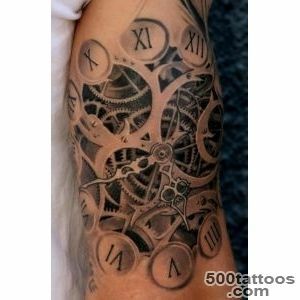 Watch Tattoo with a complex clockwork mechanism, featuring a variety of fine detail characterizes the person, met with various difficult circumstances in life, ready to deal with them and adjust them "for themselves." 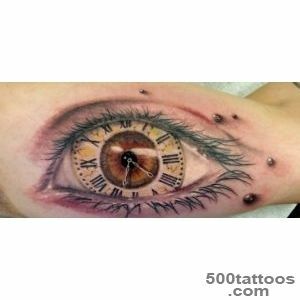 In ancient Greece, watches are the epitome of implacability and inevitability of existence,associated with the god Zeus, Themis, Helios. 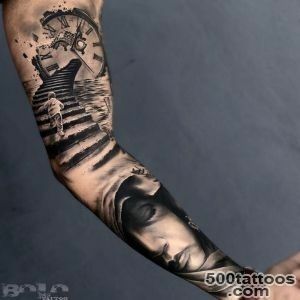 In eastern culture tattoos hours are fairly rare, as the Buddhists and people professing Confucianism, present their special worldview, belief in reincarnation. 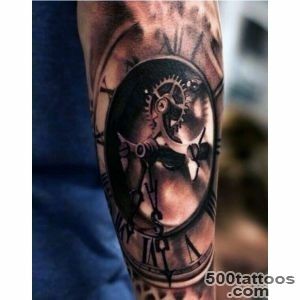 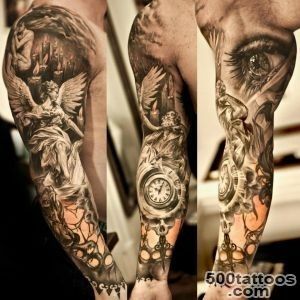 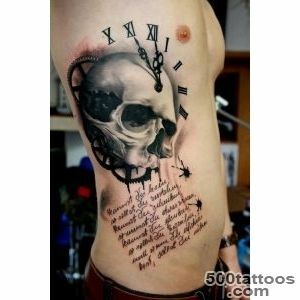 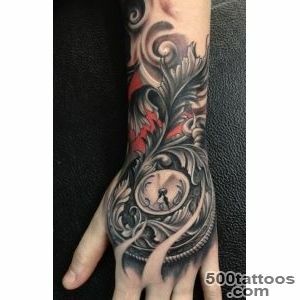 Watch Tattoo pretty decent and has a philosophical meaning.